After a tough couple of weeks, Rick Spencer-Walt is back in his familiar spot, as he scored a feature victory on Saturday night at Sauble Speedway. Qualifying second for the first feature on the night, Spencer-Walt battled back and forth with long-time Sauble front runner Jason Parker through the feature. The pair traded bumps, going and back forth right to the checkered flag. In the end, it worked out as Spencer-Walt put the No. 31 Late Model in victory lane. Starting deep in the field for the second feature on the night, Spencer-Walt was able to make his way back up to fifth by the checkered flag. Spencer-Walt will be back at Sauble Speedway this coming weekend for their double-header weekend. 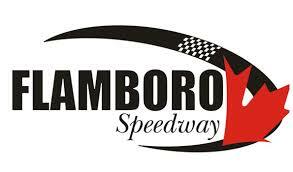 It is regular Saturday night racing on June 30, followed by the second round of the Great Lakes Concrete Series on Sunday, July 1. Spencer-Walt currently leads the Great Lakes standings following a victory in round one at Sunset Speedway’s Spring Velocity.